Climb Jungfrau (4158 m) and Mönch (4107 m), two iconic and beautiful mountains of the Bernese Alps, along a certified mountain guide. Join me in this amazing adventure and let’s climb the Jungfrau (4158 m), and the Mönch (4107 m), in the Bernese Alps! 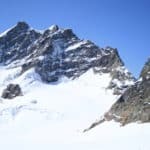 The Jungfrau is a fantastic climb of a glacier with an exposed end. It is covered with snow all year. 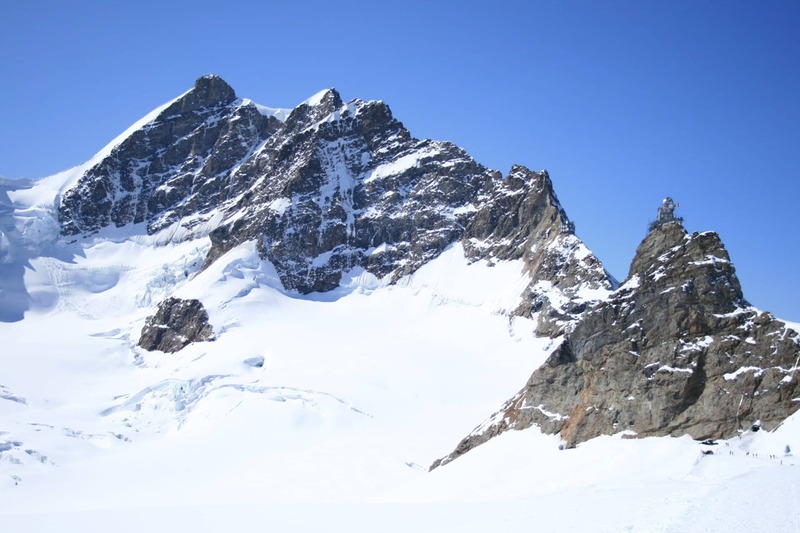 The climb takes place on the Aletschgletscher, the largest glacier in Europe. We will enjoy spectacular views from the summit! The regular route is rated ZS or PD+II-, Ice 35-40 degrees. On the first day, we will meet in Grindelwald. After a picturesque train ride up to the Jungfraujoch with breathtaking views of the Alps, we will climb the Mönch! We will spend the night in the Mönchsjoch refuge. The following day, we will climb the Jungfrau! From the hut, we will start hiking to the Aletschgletscher, also called the “Sporn”. We will ascend through a a rocky ridge to the “breakfast place”. From there, we will only find snow to the top of the mountain. Although the only really exposed sector starts at the Rottalsattel, but we will find iron belay poles every 50 metres. They will provide safety up and down. Once in the summit, we will enjoy a spectacular panoramic view! Then, we will start our down climb to Grindelwald. It will take us about 4-5 hours to climb up. Also, about 4 hours to down climb to Jungfraujoch. So contact me if you want to join me in this Jungfrau guided ascent! We can start planning your adventure right now! And you can also check my Mount Eiger guided climb! Note: This climb is available for people with previous mountaineering experiences only. Contact me for information about equipment.